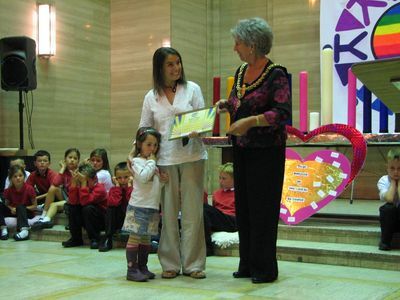 Dr Penny Sartori has worked as a nurse at The Intensive Therapy Unit, Morriston Hospital in Swansea, UK since 1993. The frequent deaths of patients she encountered made Dr. Sartori question 'What happens when we die'. 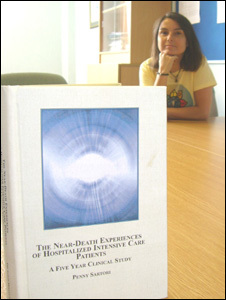 She read about NDEs and in 1997 decided to undertake her own research by conducting a long term prospective study (the UK's first long term study). The supervisors for the research were Dr Peter Fenwick and Professor Paul Badham. The prospective study formed part of a much bigger research project into NDEs for which Dr. Sartori was awarded a PhD in 2005 at the University of Wales, Lampeter. 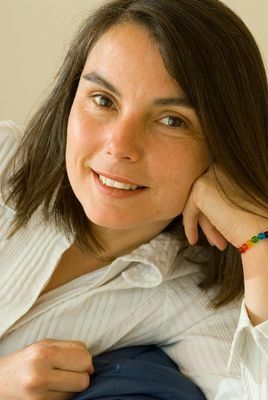 Dr Sartori spent five years compiling her study, three years writing it up and two years preparing it for publication. Since 1994 I have been studying near-death experiences. Following a close brush with death many people report wonderful experiences of leaving their bodies, reviewing their whole life, feelings of peace, joy and ecstasy, meeting deceased relatives / friends or a religious figure who usually tell them it’s not their time that they have to go back. While undergoing these experiences people come to the understanding that everyone is connected and everyone is the same and that any harm we do to others we ultimately do to ourselves. These are profoundly life changing experiences for the majority of those who experience them. Most people who have a NDE become more tolerant of others and become more loving and compassionate towards others. What these people come to realise as the result of their experience is of course Peace Mala's message - The Golden Rule; treat others as you would wish to be treated yourself. Imagine what the world would be like if we all thought in this way. We don't all have to have a close brush with death to come to this realisation, we can learn from those who have already been there and share in their wisdom and insight. Peace Mala symbolises positive change for us all if we choose to heed its message. Peace Mala is very close to my heart and has my full support. Its creator, Pam Evans, a true visionary, is one of those 'unstoppable forces of nature' who will succeed in helping make the world a better place.